Pack of 5 woven sew-in labels Pauline Alice – Made by Me. 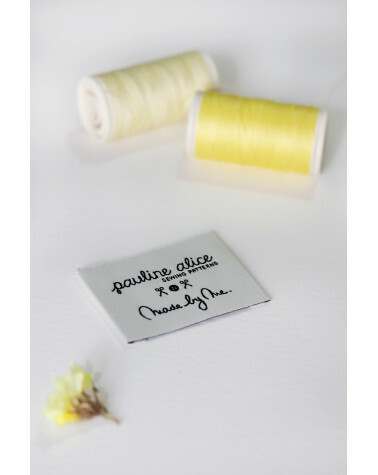 Give your handmade wardrobe a custom made look with our woven labels. 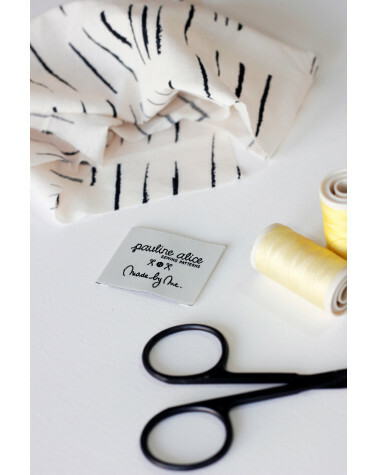 Each printed copy of our patterns comes with its own label. 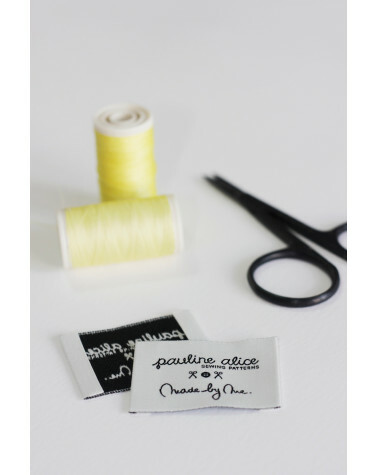 Get this pack of 5 Pauline Alice – Made by Me labels for your PDF patterns. 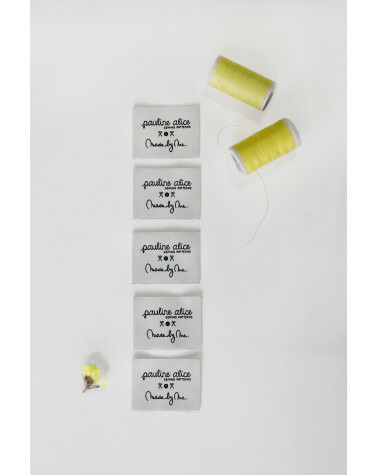 Woven sew-in labels, made with 100% poliester Damasco thread with a minimum of 50% recycled thread. They don't loose color, they are durable, they support washing machine high temperaturas and they are soft.